More competitive leasing environment. With more and more SF on the market, malls in lackluster markets will struggle to lease space, and in some cases they will be competing for retailers who might also be considering a downtown retail space. This means that you have to be more aggressive in your leasing efforts, and get better at communicating the value add of a downtown location. You should ask yourself a few questions. Are your downtown vacancies easily found on on-line listing services? If not, are you working actively with your property owners to ensure their properties are listed and available for easy viewing? 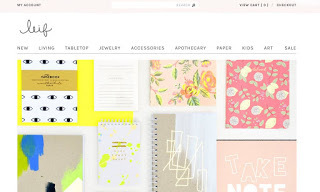 Do you maintain demographic and market data for retailers who are considering your market? There are a myriad of ways – some that require more investment than others – to ensure your district’s vacancies are on a retailers radar. But either way, supporting retail leasing efforts will take some concerted effort and investment. On that note, don’t forget to downtown our book, “Improving Tenant Mix: A Guide for Commercial District Practitioners” for free from ICSC’s website for ways to take a more hands on approach to your district’s leasing efforts. Programming and creative usage of public space (i.e “place based strategies”) will increase. Commercial districts, like malls, are increasingly trying to offer distinctive experiences that cannot be found so easily on-line. Cooking demos, craft classes, exercise classes, etc. will all become more critical to engaging with customers. In downtown, that means activating and programming public space in a way that will drive downtown visitation. 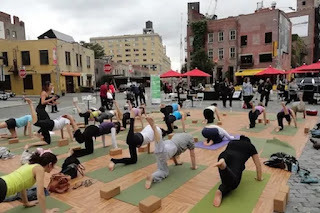 Consider the Meatpacking District’s free outdoor yoga program. They teamed up with a local store to offer programs on the street during the summer. 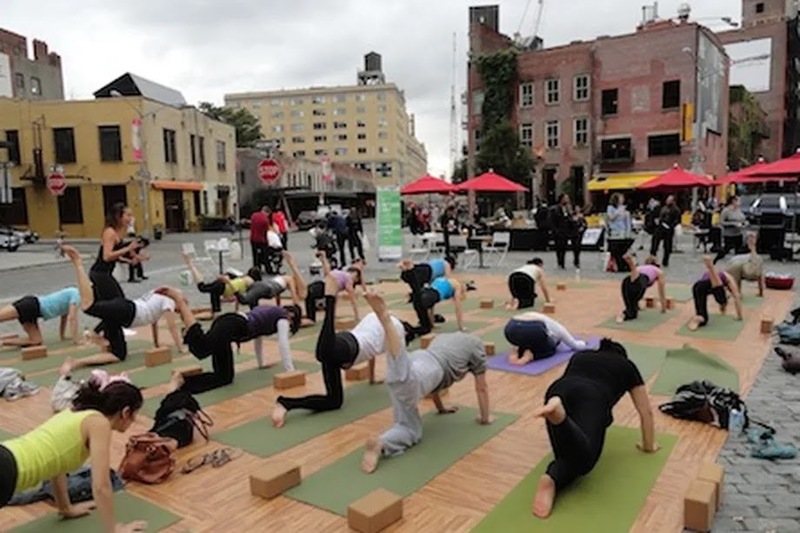 This is a great way to highlight a local business while also bringing activity to open spaces. These activities also reinforce a well thought out strategic position for this market based on the segment of the businesses that are there – a place where young, active people congregate. We love it. in partnership with a local business. Food will continue to drive leasing in many downtown environments. When food is in the mix, shoppers increase their dwell time, which increases the amount of money they are likely to spend in the district. A panel on Urban Retailing at last year’s ICSC Recon emphasized this trend. 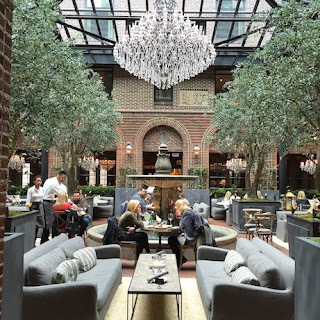 Restoration Hardware Executive David Stanchak was on hand to discuss RH’s recently opened new store in Downtown Chicago that includes a food operation – The RH Chicago Three Arts Club Cafe. According to Stanchak, “for every dollar we do on food-and-beverage sales, we’re generating $2 on increased gallery sales.” The good news is that downtown environments already do food quite well, but will need to begin to find better synergies between food and shopping. In some communities, the hours that retailers are open do not necessarily overlap with the hours that restaurants are open, which diminishes opportunities for cross-patronage. Correcting this misalignment, perhaps through a well-promoted once a month late night effort could help address this issue. That said, care should be taken not to overtax small business owners who often have limited staff capacity to do this on a regular basis. Promoting the event sufficiently, and to the right customer audience, is key to ensuring the success of late night shopping strategies. Restoration Hardware’s new downtown Chicago location. Food kiosks, food trucks, and seasonal food offerings will also continue to grow. Some communities might not be able to support a full time bricks-and-mortar food retailer, but can instead focus on developing a temporary set of offerings that may be associated with an event. We are working in a community in Long Island right now that has a small municipal beach. Last year they started a very successful food truck and movie night. It probably shouldn’t come as a surprise that they sold many, many more beach passes over previous years – adding to the town coffers while also building community. These investments clearly also pay dividends. 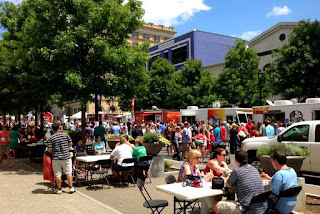 over a weekend in the early Spring with more than 50 food trucks. Leasing to specialty businesses will rise. The downtown environment has an element of authenticity and interest that makes is a great place for some of these more interesting retail concepts. In some cases, lower rents and a lower hurdle to entry make downtown storefronts an enticing alternative to malls. Consider Muse Paintbar in Providence, RI, a business that bills itself as “the premier art and wine experience”. Located on Main Street in a historic building, Muse Paintbar offers a wide array of classes for adults and families too. Property owners and merchants will request higher transparency around BID spending. In the mall world, payments by retailers to cover common area maintenance (CAM) are critical to ensuring shared spaces are well maintained. The International Council of Shopping Centers recently posited that 2017 will see a more “widespread effort by retail tenants…to rein in or set limits on CAM costs.” We believe that the same economic forces driving retailers to second guess CAM charges are not limited to businesses that lease storefronts in malls. As many of you know, in a downtown environment, the equivalent of CAM charges are BID assessments, which in a similar manner to CAM charges are obligatory contributions by property owners and/or merchants that support the enhanced maintenance of shared public spaces and help to advance long term district improvements. While getting a BID off the ground may become more challenging as businesses and property owners double down on keeping costs down, we do believe that existing BIDs will have to make sure their members understand the value they are getting for their investment. This means getting much better at bench-marking impact with measurement tools like pedestrian counts. And while BID members may balk at increasing BID budgets, doing away with these additional charges is not an option either. As one analyst indicated, it “costs money to create experience”. And given how important experience is going to be to shoppers in the future, downtown’s with BIDs are going to be better positioned to weather competition from on-line retailers than those that don’t have the resources to program and maintain the downtown environment. Overall, we think downtown is well positioned to compete in the coming years. As people look for authentic experiences, the kind of things that simply cannot be done on-line, we are confident that many downtown’s can and will rise to the challenge.